Heat oven to 275°F. Line 2 baking sheets with parchment paper. Whip the egg whites and salt until stiff. Add the sugar gradually, continuing to mix until shiny. Fold in the ground hazelnuts until incorporated. 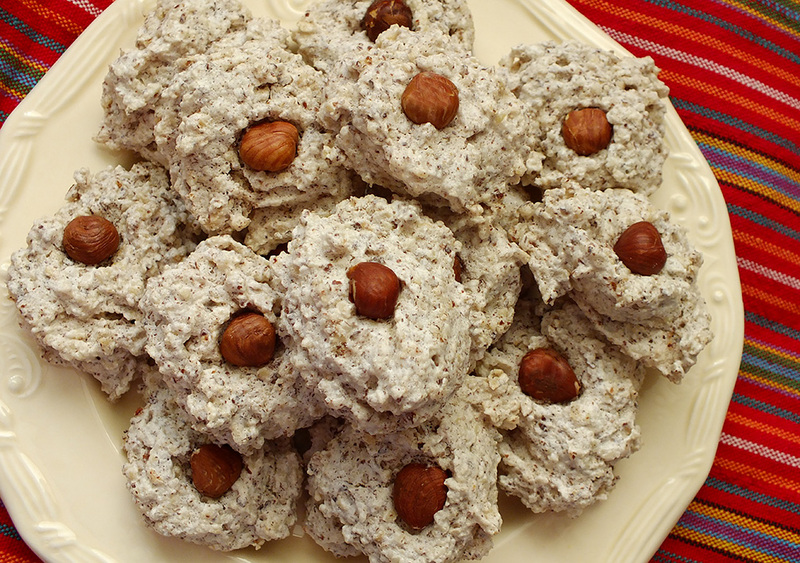 Scoop walnut-sized balls onto the prepared sheets and press a hazelnut into the middle of each. Bake for 25 minutes, then turn off the oven and block open the door slightly. Leave cookies in the oven for 30 minutes. Separate the cookies from the paper with a metal spatula and allow to cool completely.